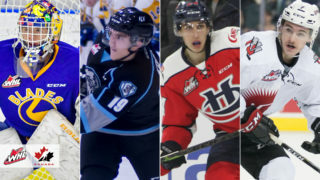 Lethbridge, AB – The Lethbridge Hurricanes Hockey Club is excited to announce that seven prospects selected in the 2018 Western Hockey League Bantam Draft will attend Provincial U-16 Camps in preparation for the 2019 Canada Winter Games that will take place in Red Deer, Alberta from February 14-23, 2019. 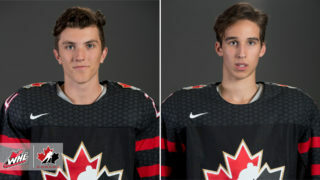 Two Hurricane prospects will represent Alberta as forward Zack Stringer and defenseman Bosten Lajeunesse will participate in Hockey Alberta’s camp slated to take place in Camrose from July 3-8. 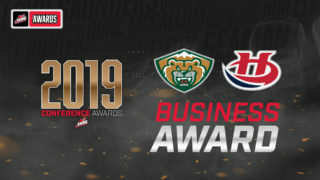 Stringer, who was selected eighth overall by the Hurricanes, skated in a total of 42 games this season with the Lethbridge Midget AAA Hurricanes where he collected 57 points (36g-21a); including ten points in seven games at the 2018 Telus Cup. 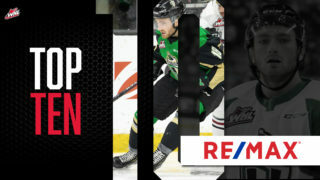 Lajeunesse, who was picked in the eighth round (161st overall) appeared in 35 regular season games with the Red Deer Rebels Bantam AAA totaling 18 points (5g-13a) along with 53 penalty minutes. He added one assist in five games at the Alberta Cup with Team Central. Three prospects will partake in BC’s camp slated for Shawnigan Lake July 29 to August 3 as forwards Jaden Uy and Fischer O’Brien while goaltender Jared Picklyk will compete for a spot. Uy, who was selected in the fourth round (73rd overall) helped the Seafair Islanders Bantam A1-T1 team win the Bantam T1 Championship. He had 12 points (5g-7a) in five tournament games. 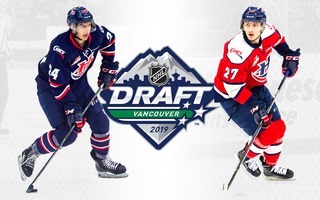 O’Brien, who was the only Prince George, BC, product selected in the 2018 Bantam Draft was taken in the fifth round (98th overall). He appeared in 18 games with the PG Bantam Cougars registering 23 points (9g-14a) while adding six points (4g-2a) in four games at the BC Cup. Picklyk, meanwhile, was the only goaltender selected by the Hurricanes in the seventh round (148th overall). The netminder appeared in 27 games with the Okanagan Hockey Academy Bantam Prep posting a record of 14-9-0 with a 3.98 goals against average and a .878 save percentage with one shutout. Defenseman Joe Arntsen is the lone Hurricane prospect to take part in Saskatchewan’s U-16 camp. Arntsen, who was taken in the second round (35th overall) by the ‘Canes spent the 2017-2018 season with the Swift Current Raiders Bantam AA team. In 31 regular season games, Arntsen racked up 50 points (19g-31a) along with 32 penalty minutes. 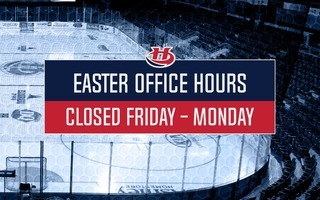 He added another eight points (2g-6a) and 20 penalty minutes in six post-season games. Ashton Romaniuk was the lone Hurricane participant in Manitoba’s camp which was held May 10-13 in Portage la Prairie. Romaniuk, who hails from La Broquerie, Manitoba appeared in 34 regular season games with the Eastman Selects Bantam AAA. The forward, who was selected in the eighth round (166th overall) collected 32 points (22g-10a) along with 82 penalty minutes in 2017-2018.